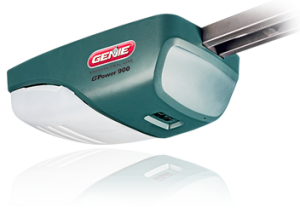 Our selection of garage door openers Brentwood CA includes a variety of horsepower capacities for small and large doors. However, you can’t rely on size alone when selecting a garage door opener. A single door made of a heavy material like solid wood may require more horsepower than a door made of lighter material like vinyl. Our inventory also includes direct drive, screw, chain, and belt openers. Each of these drive types has its own strengths and weaknesses, which we will be happy to explain to you in detail. While many aspects of your garage door opener fall into the out of sight, out of mind category, the remote isn’t one of them. Whether you want a plain one button remote, a three button remote, or a remote that can control multiple garage doors, we can help you find what you want. Any time you have trouble with your garage door opener or remote, you can call Carroll Garage Doors. It doesn’t matter if it turns out to be something silly like a dead battery or something more serious–either way we can help. We’ll give you our honest opinion as to what’s wrong with the opener and whether it should be repaired or replaced. We can even offer you scheduled preventative maintenance to keep your opener system working better longer. This service would include safety inspections, battery replacements, and opener motor tuneups.